Emtpy fields are still shown on email notifications even when I changed it on my form settings. I was SO hopeful when I found this answer to my exact question, but after following the steps and saving the form anew, it still displays all of the fields, even those that are set as conditional and don't even appear to the person filling out the survey. I tried clearing the Jotform cache just in case that was the problem, but it persists. I assume this was the form http://www.jotform.us/form/60694305630150 in question. I checked your form and I can see that Hide Empty Email Fields in Preferences was enabled on the form. However, when I checked the only Autoresponder Email setup on the form, I found that the Data Table of the email template was unlocked. This was because the Email setup on the form was a customize email. The Hide Empty Email fields feature can only work on default email template. 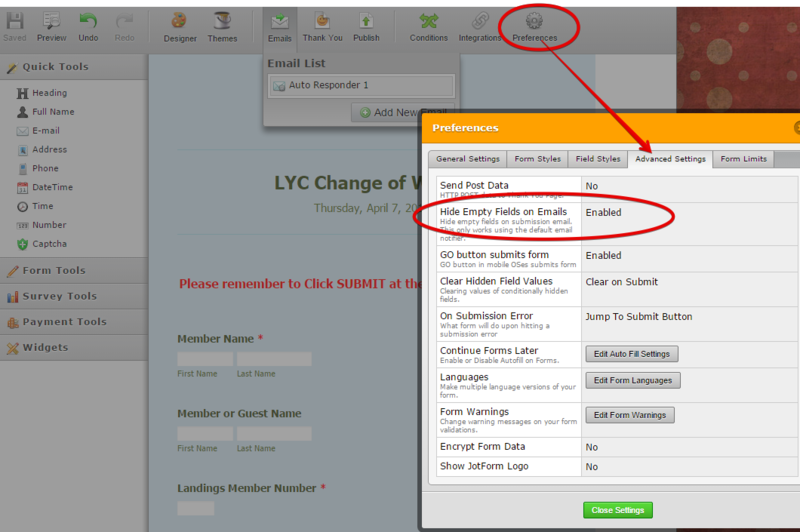 You can check this feature by creating a new Notifier on your form and do not change anything on the email message body. 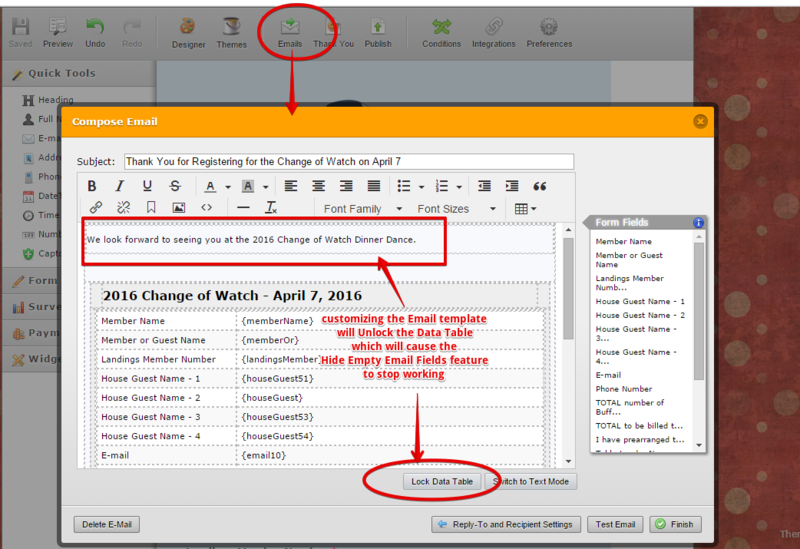 Just change the Title and recipient details, but do not modify anything on the message body that will unlock the table. It should work. Thanks so much for the speedy response! Can I assume that even adding a personalized message takes away the "default" status? As soon as the "Unlock Table" prompt message is triggered, it will immediately take away the "default status". You will see this prompt message every time you try to customize/modify the default template message body. You can also just create another Notifier on your form and leave it at default. This way you have a customized one and a default version. You can then compare them how they work on your setup. This option appears to have been removed in your most recent interface update. Where can I find it?